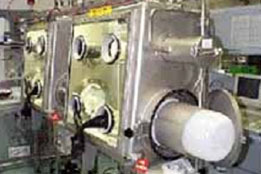 The radiation shielding windows are composed of one or several glass slabs of various densities, fitted into a steel, cast iron or stainless steel window housing and weigh up to 12 tons. 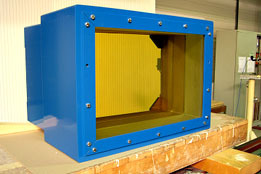 These radiation shielding windows are usually inserted into a steel or cast iron wall liner, embedded into the wall. The maximum viewing area is up to 1.58m x 1.38m (5 feet by 4.5 feet) with an overall maximum thickness of up to 1.5m (5 feet). In order to enhance the viewing quality, the shielding windows can be supplied with anti-reflective treatments on glass surfaces. 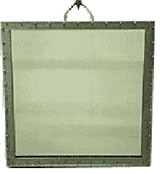 These panels are made from glass cut to size, for nuclear glove boxes and medical applications. Various glass types and combinations can be proposed, according to the specific requirements. The glass blocks are polished and cut to size, to be fitted into a steel or lead wall of a hot cell. According to the requirements, the slabs can be made from borosilicate (specific 2.5 density) or lead glass up to 5.2 density. The glass slabs can be made from non-browning glass, stabilized with cerium oxide, to offer better resistance to high radiation doses. These are borosilicate glass plates, fitted into a stainless steel frame and held on the hot side of the window. 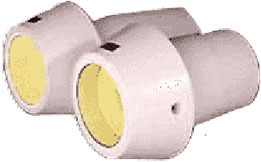 This glass provides cell containment and protection against mechanical damages. These are small windows with a limited viewing area.